Step into a role just as cunning and mighty as dragons of legend when you wear the Dragon Rider Leather Armour. This handcrafted leather cuirass has dragon-inspired details throughout, including an attached hood and spaulders. Made of high quality, 9/10 ounce leather, the upper torso, spaulders, and roomy hood have a smooth, sleek texture. Dramatic, pointed curves add wicked style to the edges of the three-tier spaulder panels, matched with a similar edge on the chest piece and brim of the hood. 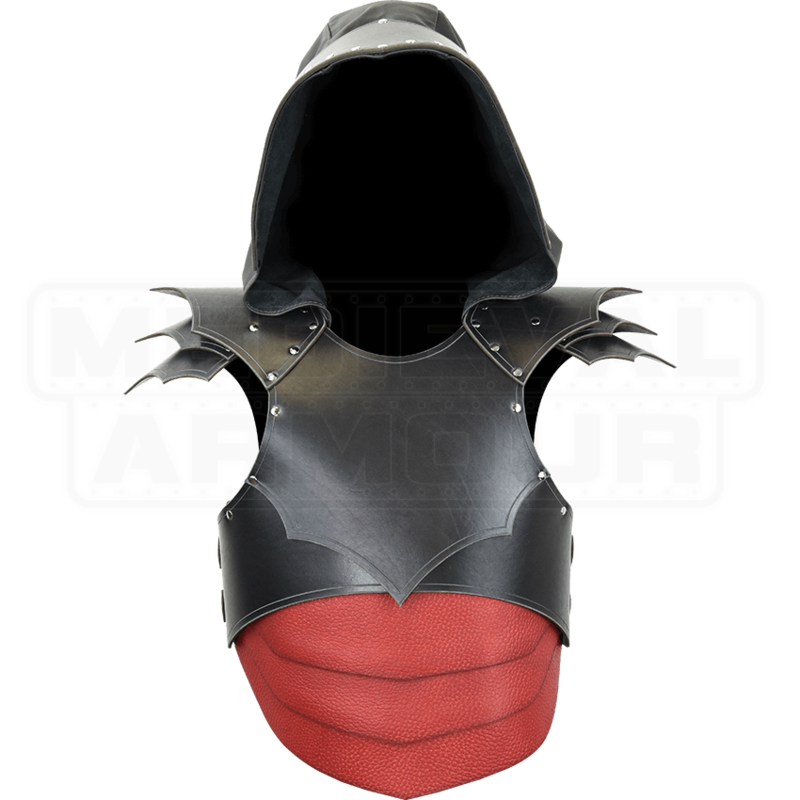 The layered front abdomen panels have a distinct pebble grain texture in contrast with the rest of the leather cuirass. Two wide, buckled straps at each side of the torso adjust greatly for best fit. 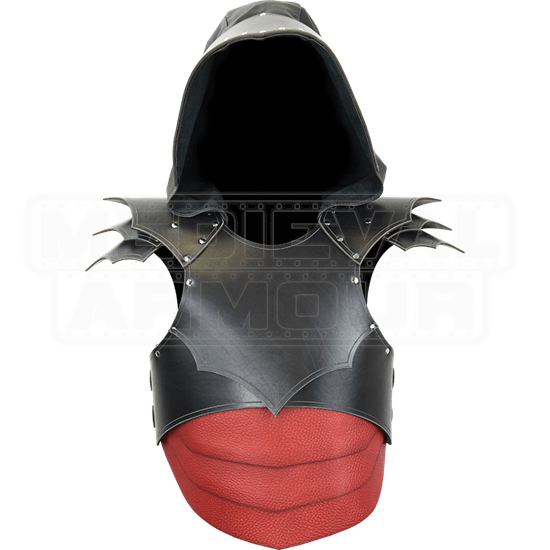 This leather dragon armour is intended to be worn with the front overlapping the back panel, though the armour can be worn by waists up to 60 inches if the wearer does not mind gaps at the sides. The Dragon Rider Leather Armour is available in a variety of color options. Please note that the first listed color is the color of the upper torso, back, hood, and spaulders, while the second listed color is the color of the textured abdomen panels. Harness the power of a dragon when you wear this unique leather torso armour to your next LARP, Renaissance fair, or other costuming event.